Go online. Attract new customers. Sell to the world. Have an online store in seconds With exclusive URL. Add your products/services and also your customers at our platform. Accept payments in up 12x installments From physical, phone or email purchases. Control all the operations, products, sales and payments in one single place. Want to know more about EBANX Travel? By using EBANX Travel solutions, products, and services, you can manage your e-commerce platform in real time, and make it easy and highly intuitive for your client to buy and book from you. We provide everything you need from design, customers data and financial control and management. Go online with EBANX Travel Platform. Add your own brand identity, manage your products, upload images, add products, features, and start to sell. Accept cards from all over the world and also all the specific payment methods from Brazil, Argentina, Mexico, and Chile. Make tours reservations with no limit. Provide automatic voucher confirmation to customers by the second they conclude the purchase. Integrate with our CRM#39;s base to target your clients better and improve the accuracy of your messages when promoting campaigns. Keep track of the status on all orders. Our dashboard gives you a complete overview of your business and payments. Analyze your order history to build better customer relations and target your marketing campaigns. EBANX already offers end-to-end payment solutions across the entire cross-border e-commerce transaction flow, solving remittance problems between international companies and Latin America, making it easier for them to expand their business into the region. With the aim to create a unique product to attend the Travel Industry specific demands, EBANX launched EBANX Travel. 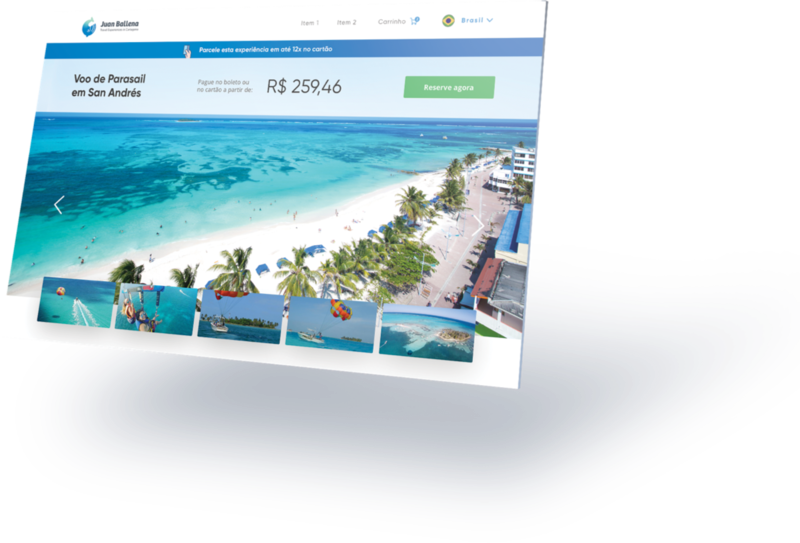 A solution catering to the Tourism Industry and ready to offer for travel agencies, tourist operators, hotels and other players in the sector the possibility to market their products on a single effective and ultra-flexible platform. Talk to one of our specialists with no-cost commitment.